Published in Condé Nast Traveller May 2015. Online July 2015. ‘If these walls could talk…’ Well, what if they could? Surely the answer would depend on which walls in particular you were referring to. Some are much more interesting than others, and will have more to say for themselves. 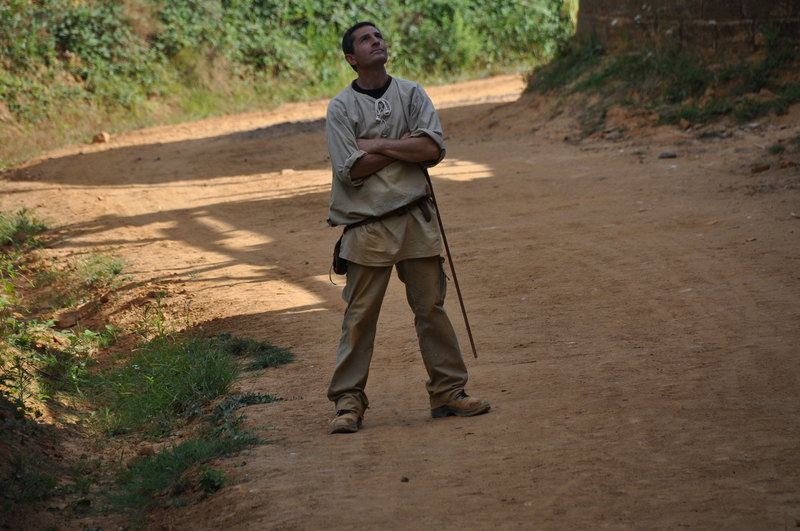 The ones at Château de Guédelon, for example, might be pretty entertaining conversationalists. Guédelon is a brand-new castle in Burgundy being built from scratch to 13th-century specs, using 13th-century materials and techniques. The man to make the walls talk is master mason Florian Renucci. ‘There are projects in life to which we fully commit ourselves,’ he says with Gallic sang-froid. ‘This is one of them.’ It’s fortunate that he is able to take the long view, since he’s been working on Guédelon since 1998 and is likely to be doing so until it’s completed around 2020. Florian was born in Antibes and followed in his architect father’s footsteps. But where his father’s tastes inclined towards the futuristic (he was one of the architects responsible for Charles de Gaulle airport), Florian’s enthusiasm ran in the opposite direction. Before coming to Guédelon he worked as a stonemason restoring historic monuments, including the Pont Neuf and the Panthéon inParis. Now 300,000 visitors turn up at Guédelon every year to marvel at his handiwork as the building slowly takes shape and rises out of the Burgundian forest. Hundreds more volunteer to help out. Florian himself leads courses of between four and seven days for those who want to pick up practical skills in medieval castle-making, as well as shorter rendez-vous du maître d’oeuvre for visitors curious to discover exactly what the walls are on about.